Everyone complains about a lack of employee engagement these days. Yet, I have never met an incompetent person. EVER. Sure, I HAVE met angry people, disillusioned people, frustrated people and even people in the wrong jobs. But never has anyone ever been incompetent, lacked talent, started the day plotting how to screw everyone, and nor did they not WANT to even give it their best shot. To be clear, I have led teams of 3 people to 800 people. From a tiny office, to across three continents. Both in person and virtually. And every single person was simply ordinary — delivering extraordinary results. I say this as a volunteer career advisor on Linked In, a mentor on a board panel, and a keen observer of all things business and leadership. Plus, as a people person who is nosy. I fearlessly ask anyone, regardless of their age, what keeps them awake at night. The top three concerns I see and hear everywhere are to how to hire better, how to engage and motivate, and how to pivot faster and smarter. The thing that IS new today is the speed at which our collective angst is spread and carried. There is no person today over the age of forty who can honestly say that when we were young and green, we too weren’t labelled as borderline talentless or lacked the hard-work gene or were classified on our worst days as a ‘maybe’. There is something that IS new today. Tools that can HELP us hire smarter and better. You already know smart companies have wickedly simple processes. One process that has lagged dramatically in our fast-changing world is the selection and hiring of the right person for the job. The Human Resource folks have become bogged down in compliance issues (don’t say or do that, it’s against policy for us to get into this or that, keep language and behaviour at this or that level). The recruitment business has tried and too often failed to be a partner with so many companies. And how on earth can one person or a small team objectively review the 1000’s of resumes for one single job post effectively and efficiently? And not discriminate against gender, race, education and all the other biases that apparently one is supposed to know, but frankly could very well not have any idea about? A piece of software that will give you a wickedly simple process for putting every single candidate on the exact same bias-free platform, rank the candidates on their performance to a number of tests/criteria you set that are crucial to the position and then present you with every candidate ranked by their test score. You are now 100% assured that you are interviewing the top candidates who applied. You also get some necessary help in interviewing questions if you like AND for an additional fee can assess their key cognitive abilities to determine the personality qualifications you are getting to ensure there are perfect matches and synergies with your existing team members. • You are 100% assured you are interviewing the top candidates who applied. With all biases removed. • You lower your total employee turnover costs and save yourself money in the long run because you found the best person for the job. • You shorten the total time involved in the interview process and have greater confidence in your ultimate choice. • You refocus your HR efforts from dastardly compliance issues to real bottom line improvement issues. • And you get help in gleaning the best out of the whole interviewing and hiring process. • In short, your chances for hiring the best candidates improve exponentially and that kind of investment pays off to your bottom line almost immediately. The only caveat I will give you is Vervoe.com recently had a significant cash investment from a venture capital company. While the founder is still overwhelmed at the new leap to success, all personnel are trying to move at the speed of light. So, there might be a hiccup or two in getting you fully implemented. However, based on the demonstration I saw and the correspondence I have had with the company personnel, their heads are all in the right space. Give them a chance. Wickedly simple processes are just one piece of the trifecta that Bullet Proof champions for all successful companies to have in place to thrive and survive the next decade. Vervoe.com has a wickedly simple process that will help you get the best people for your business. Business IS personal. The foundation of all successful businesses is their people. 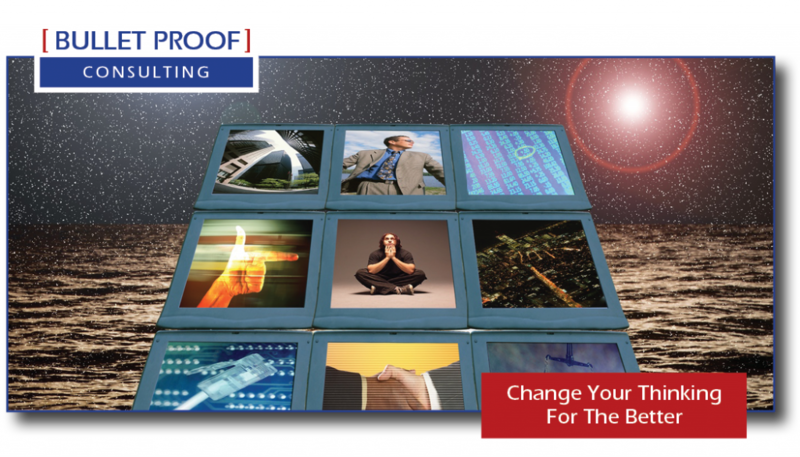 Bullet Proof can help you engage and obtain extraordinary results from your people. It starts with a call to discuss changing your thinking for the better. Next PostNext Do You Market Yourself As An Upstanding Community Citizen?